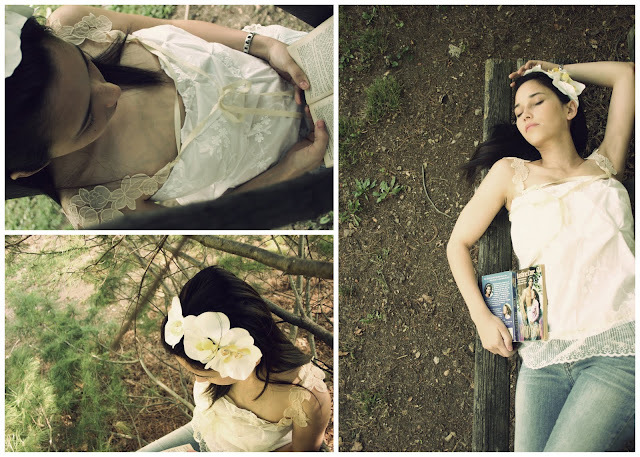 Grosgrain: The Romance Novel Blouse Grosgrain Giveaway! CLOSED. The Romance Novel Blouse Grosgrain Giveaway! CLOSED. Okay I'm not a romance novel reader. But if I were I'd be wearing this blouse to try and get into the part. All lace and cream and ribbons. I used a very thin floral-embroidered cream material for the bodice and did a knotted smock treatment on the front. I then added a chantilly lace trim at the bottom. I modeled the bodice after a very sweet modcloth cami. The sleeves are a long line of embroidered florets. To give a shabby chic feel I added the loose skewed ribbon that cinches the front if desired. I thought this gauzy piece looks best paired with light washed, frayed skinny jeans. Unfortunately I didn't have any frayed jeans but Forever 21 sells some pretty cheap skinny jeans in a TON of washes. I'd say this blouse would fit a size small to medium. That is absolutely gorgeous! This may be one of the best things you've done! Oh me, oh my! This is an absolutely swoon worthy, beautiful top! I would wear this while on a picnic with my husband! Thanks for a chance to win!! Wow, this blouse is so gorgeous!!! So, so pretty...I love it! too beautiful. I'd really love to win this! two entries for me, please. beautiful! I always love what you make. Ohhhh, it IS so pretty and feminine! I think this is very beautiful. I like the way the smocking blends in with the rest of the design. What a truly romantic top! Lovely giveaway! i'm not much of a romance novel reader, but this would be ideal! That top is super cute! It would also be a great sew along!! so pretty! I don't read romance novels either but this would be lovely for a summer date! Right out of beautiful dream! That is so beautiful! Paired with the jeans, it looks like something a fairy would wear on her days off. First, I love this top! So beautiful, light, and airy! Secondly, I wanted to say I love what you did to your house. It looks wonderful. I'm glad you are enjoying your new little one! Wow... gorgeous! Would love to win for sure! love this top! so pretty! That is such a beautiful blouse! i really enjoy the lace detail on this shirt. very dreamy! It's so pretty and perfect for warm weather! That is GORGEOUS!! I absolutely love it, so romatic. This is beautiful, as are the pictures! You did a wonderful job. wow! That is gorgeous. I absolutely love it! linked up -such pretty photos! that is so beautiful! i can't even come up with other words for it. This is an absolutely gorgeous blouse. I'd feel very special wearing it. Thanks for your kindness. What a beautiful top. I don't think it would fit me, but I have a friend that would look amazing in it. Gorgeous! My favorite thing you've made! It is flowy, flirty and definitely feminine. I think this would make a great date with hubby blouse! This is such a dreamy piece! Thanks for this lovely giveaway. So romantic! I linked back and will be keeping my fingers crossed. wow that's awesome. I'll have to copy that if I don't win. Beautiful. Just found your site and look forward to browsing around . . .
That is soo incredibly gorgeous and feminine! 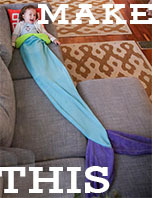 I love it, I want one!!!! I love this top! Especially the smock treatment. I'll have to figure out how to do that. I love wearing white/cream clothes, especially in the summer. Absolutely lovely! I liked to my blog as well. This would fit and look so good on my daughter! It is beautiful! Oh.my. I would wear that alllll summer. This is just stunning, seriously. This is so beautiful! I love the photos as well. What a beautiful blouse! I love how it flows. You did an amazing job, would love to wear that! This is my first time to your site--I love it! This blouse is soooo beautiful! This is my favorite kind of blouse! I've also linked to FB and my blog. Thanks, it's beautiful! That's it! I never know what my true "style" is b/c I like a lot of different things. THIS blouse is me and what I love, but can you believe I own nothing like it?! Love it!!! adorable, me thinks, with cut off shorts and my fav cowgirl boots....hmmm...bring on the summer! Lovely!! Really beautiful! 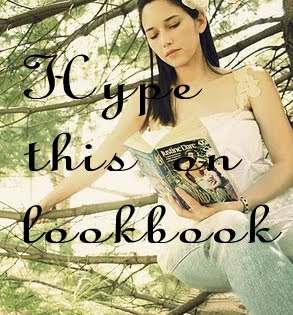 I created a link - I hope it worked ok. www.0bella-rose0.blogspot.com is my blog for contacting. i would feel so pretty all the time wearing this! Just found your site, and I love it. What a beautiful blouse! Thanks for the giveaway! oh my goodness that is beautiful! i am really hoping that i win this giveaway!!! i really can't believe you're giving this beauty away. i just discovered your blog and i hope i'm not too late to enter. because this would make my week/month to actually win something so gorgeous!!! I just found your blog! I am in love and think that I may attempt the frock by friday. I'm such a newbie though. I have two little daughters too and am so inspired! But I would love to have this for me ooh la la! This is gorgeous! I would love to wear it! This is gorgeous! So summery and vintage looking! 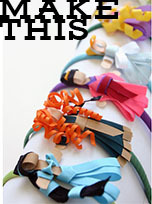 I blogged about this giveaway and used the linky feature! I linked to this post, and I would love to win this blouse! This is so gorgeous! The name fits it for sure! It IS romantic! Beautiful! I'd love to win. That is so beautiful - I think I would wear it every day! soo pretty! I linked on my blog and here is my comment! Ethereally lovely - feels like you could float away! Very romantic, just my style. So adorable! I want that for this summer! It would be perfect! That is GORGEOUS!! I know it was LOTS of work! My bebe girl would LOVE it! Let me know if the giveaway is still going on (I didn't see an end date), and I'll link to it! I also created a link. Wow, totally out of a romance novel for sure, so pretty! gorgeous! it's so romantic and dreamy...love it! I love the lace detail on the arms. This top is amazing. You are so talented! You made that!! It is absolutely gorgeous! This blouse is BEAUTIFUL!! You are truly so very talented! This is so lovely. Thank you for the chance to win. So cute and feminine! I love it! This is the most beautiful hand made blouse I think I've ever seen. It looks like something that would be hanging on an Anthropologie hanger! This shirt is absolutely gorgeous! It looks like something you would find in Anthropologie. Oh that is such a pretty blouse! You are so inspiring and creative, you make me want to run to my closet and refashion some of my clothes! I linked on my blog. that is so pretty! I want it for my wedding!! I want it for my wedding!!!! Absolutely fantastic. What an amazing creativity has gone into this blouse. It is very special. fabulous! i love the detail this is a perfect top for summer =]! this is amazing, reminds me of Blue Polly designs...and I love those clothes. You are an amazing seamstress! Just bought my tulle today for some tutus! Thanks for the wonderful pattern, and a chance to with this beautiful blouse! Oh this is so beautiful! It makes me feel peaceful and romantic just looking at it. I think I may start blogging just to have an extra chance! Really, really pretty! Makes me want to spend all day at the park. one word. WOW! I love your style. I WANT this, no I NEED this! Tell me you have considered Project Runway? amazing. This is gorgeous! I have to have it! 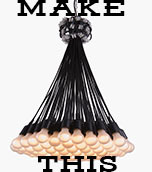 I just happened upon your blog and CANNOT believe the awesome things that you make and give away! I just had to catch my breath! That is gorgeous! Love it!!!!! Also linked to blog! WANT! This is the most beautiful top that I have seen in a long time. I love the girliness of it and would love love love to wear it! You make the most amazing things and have inspired me! It's enchanting, like something out of a poem. I can just imagine myself wearing it. Just discovered you blog! You are very inspiring! 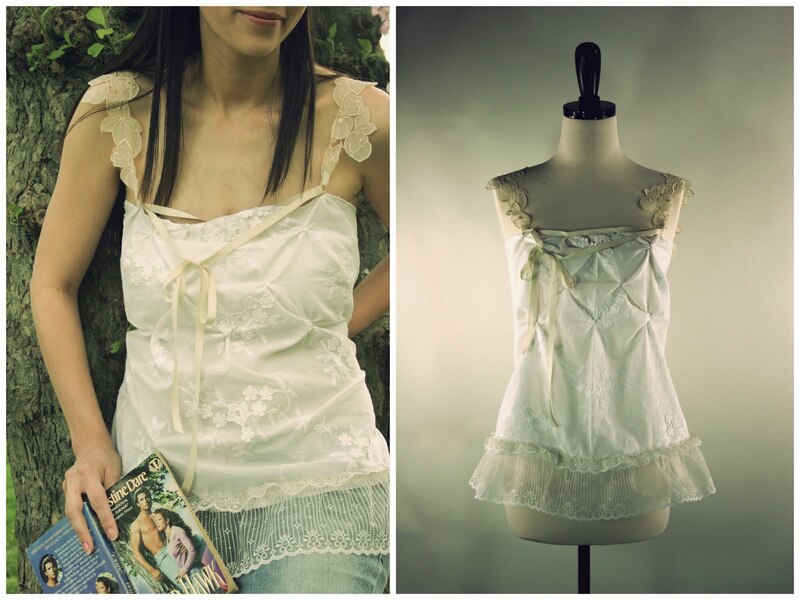 This little top is the most romantic, beautiful thing- I have to have one for myself! Beautiful! I love the ribbon on top. ooh, i love the straps on this, so pretty! WOW! Fantastic! I've been linking so much of your stuff to my blog. I love it! It's a nice mix between casual and elegant, and if you want to read a good romantic novel, you should read Sunday's At Tiffany's by James Patterson, it's one of my favorites. Holy cow! It's so pretty. Dreamy, in fact. 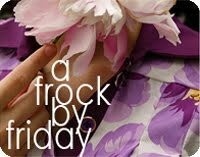 Discovered your blog while surfing... What an incredible, dreamy,romantic blouse. It looks like something I would buy, but would love to win it--especially to see how you created the smocking on the bodice. This is just gorgeous! You are so talented. Thanks for the giveaway!! Oh it's so delicate and feminine, lovely work!